Just recently got the 54/9 and 58/12 wedges in the gold series. Amazing. Have more weight in the head than any other American brand - Titleist, Cleveland, etc. The extra weight makes is much easier to hit. 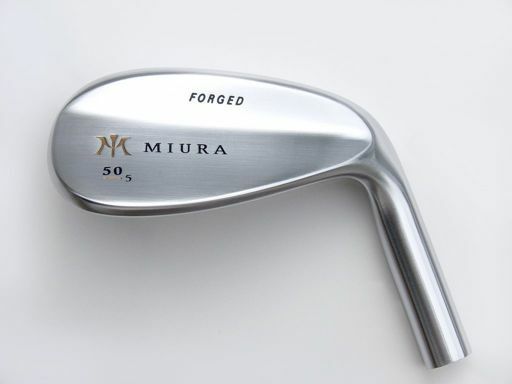 The forged feel is the best I have tried. I do agree with a previous post in the review forum that these are better for someone who is more "slider/sweeper" swing plane than a "driver/digger". Love the one or two hop, stop action. I've got the new wedge series .57 bent to 56 a 53 to 52 plus a y grind 1957 60 degree they are just the perfect wedges money can buy ,they are shafted c taper tour x just beautiful ,my only downer is that when you get them your affraid to mark them. They really are so pretty . I have the 49*y bent to 48*, the 51*y bent to 52*, 56*k, 60*y fitted with UST Recoil 808 f4 shafts. Love the feel through the turf and the soft feel. I am a mid handicap 13. So I scramble a bit. Very accurate. Shots land soft and either stop or roll a foot. Callaway Rogue Driver 10.5* Accra FX 2.0 370 stiff 44 1/4"